At long last, you’re done with school – congratulations! You’ve got your prep game on, equipped with your résumé, cover letter and portfolio. It’s the perfect time to dive straight into the deep end of the professional pool… Or is it? If you don’t have any work experiences under your belt, this jump might not be the best decision as employers may be hesitant to hire an applicant without prior experience in the working world. It’s not the best idea for yourself either, to enter the workforce without having exposure to the industry or the job you are applying for. What if the job isn’t actually what you imagined it to be? One solution to this sticky situation is to start from the shallow end of the workforce and dip your feet into the pool by taking up a graduate internship. While there are many benefits to doing an internship after you graduate, there are also drawbacks you have to consider. Regardless of whether you do an internship before or after you graduate, you can get your foot in the door at the company and/or industry you want to work in. Think of this as a long-term strategy – apply as a graduate intern, give the internship your all to make an exceptional impression with your employers and if your manager likes you, you may just get a full-time job offer at the end of your internship! It’s not uncommon for graduate interns to be converted into a full-time hire if they perform well. In fact, many employers find former interns a “safer bet” compared to external hires as those with prior experience with the company already have an understanding of the office culture and have demonstrated their capabilities. Otherwise, the internship experience will still look great on your résumé and you can use the experience as a stepping stone to explore opportunities with other firms in the same industry. You’ll also walk away at the end of your internship with the relevant experience and skills, not to mention positive testimonials/recommendation from your co-workers or manager (you need to perform well in the first place, of course!). An internship is a golden opportunity to grow your professional network. You get to work alongside professionals in the industry you are interested in. Not only do you get to learn about what they do, you may even get the opportunity to get to know them personally – which can be helpful for your future job search. To maximise your internship experience, participate in as many networking events as you can (e.g. company or office events) and make a good impression by putting the best version of yourself forward. Someone who you introduced yourself to at these events may just be looking for someone to fill a full-time position in their department – you’ll never know! Put yourself out there, and be on the radar. Making a positive impression is a good start, but making a lasting impression is something you should aim to do as well. Keep yourself in their minds by adding the people you networked with on LinkedIn, but don’t forget to ask them if it’s okay to do so beforehand. Drop them a personalised message to thank them for their time and for sharing their insights with you. Doing an internship will help you discover the kind of roles in the industry that align with your personality, skill set and even long-term career goals. It is a great way to learn about how the industry works, and what is expected of the different roles within the industry – especially if you are shadowing a senior co-worker or a manager who has rich experiences to share with you. However, the onus is on you to be proactive and make use of the resources available. You may not always be assigned to a mentor explicitly, but you can always ask someone friendly in the office to share their work life stories with you, or to answer any burning questions you have about the industry and workplace. Avoid grilling a co-worker or manager when they are busy, though. You don’t want to annoy them! Office lunches, gatherings and networking events are typically good opportunities for you to ask them questions. If you didn’t spend enough time on extra-curricular activities or gaining other work experience that can help build your résumé with relevant points for the industry you want to work in while you were still in school, it’s not too late to start after you graduate. An internship is the perfect way to develop the required skills and gain the necessary experience to make your résumé attractive to recruiters. As the saying goes: better late than never! Pro tip: Note down your objectives as an intern at the beginning of your internship and your achievements over the course of your internship. This will make it easier for you when you update your résumé and cover letter. You can earn some brownie points by mentioning them during your job interviews as well. It is no secret that as an intern, you’ll be paid significantly lesser than your peers who hold permanent jobs. If you are living independently and supporting your own expenses, it may not be a good idea to pursue an internship. You also have to think about the commitments you have. 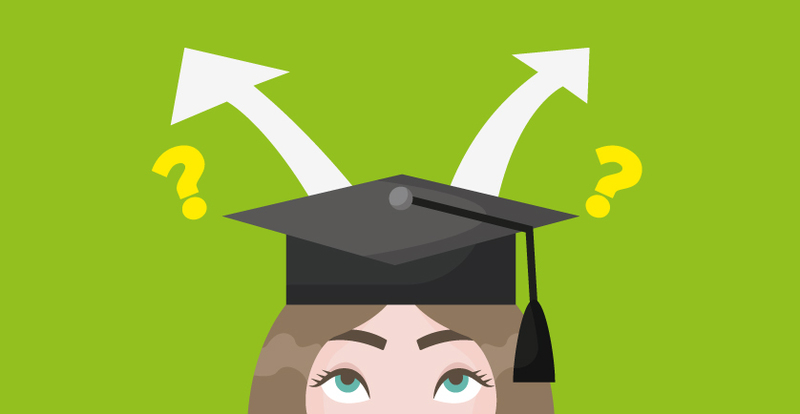 Did you take up a student loan that requires immediate repayment upon graduation? Or have a family that requires your financial support? These are questions you need to ask yourself if you are considering an internship upon graduation. It is unlikely for your role as an intern to be as focused and specific as a graduate recruit on a training scheme. You will be given a variety of tasks that may seem insignificant and you may find it difficult to develop key industry skills. If you feel that you are not gaining the exposure you were promised, you could ask your manager or co-worker to assign you tasks that are more relevant to your ideal job. Showing initiative and requesting for more responsibilities will not only help you grow professionally; it may also impress your manager and improve your chances of being offered a permanent role at your company. You should also make sure you are not simply treated as cheap labour. Interns are protected under the Employment Act just like other employees under a company’s contract, and should not be made to work more than 44 hours a week or more than 88 hours for two continuous weeks. While it is good to demonstrate that you value the opportunities given by an employer, it is also important to stand your ground if you are being mistreated. The trick is to strike a balance between knowing your rights and doing your job as an intern! That said, best of luck on your internship journey and maximise the experience as much as you can! Explore the attributes of these three types of companies to find the right cultural fit when job searching.